Family members of Nepalese guides cry as bodies of those killed in Gurja Himal mountain arrive at the Teaching hospital in Kathmandu, Nepal, Sunday, Oct. 14, 2018. 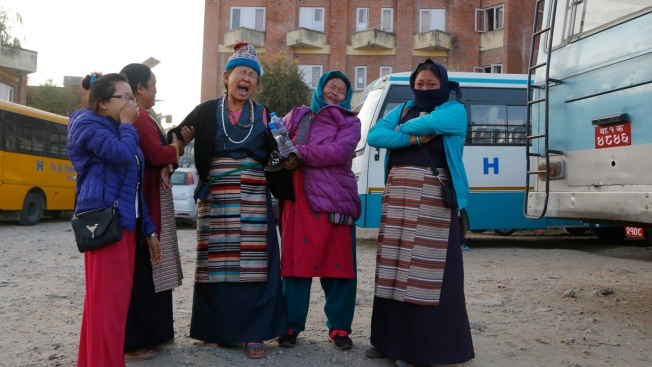 Rescuers retrieved the bodies of five South Korean climbers and their four Nepalese guides from Gurja Himal mountain, where they were killed when their base camp was swept by a strong storm. Rescuers hampered by difficult, remote terrain took two days to recover the bodies of nine climbers, including one of the world's best, who hoped to map a new route to a Himalayan peak in Nepal that hasn't been scaled in eight years.